I’m a big fan of screencasting as a means of reusable instruction. 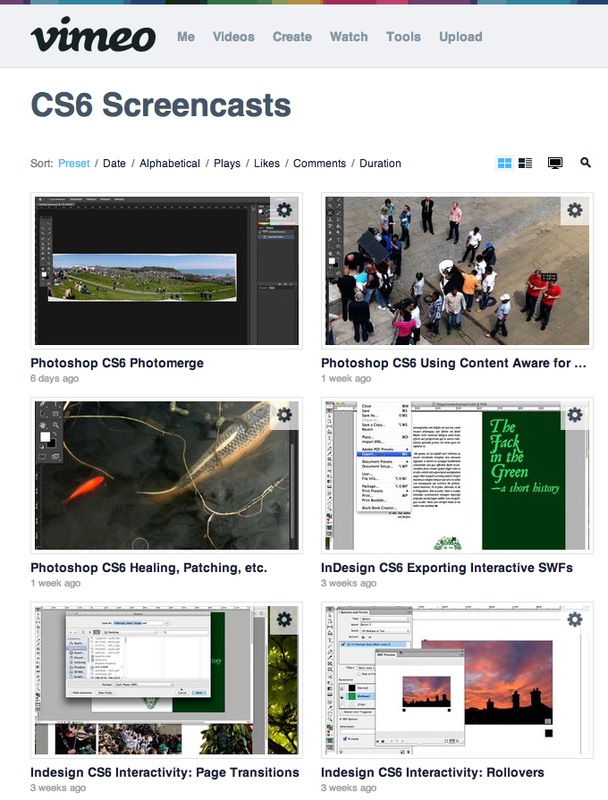 This is a link to recent screencasts that I have made for Adobe’s CS6 Illustrator, InDesign and Photoshop. They are largely generic software instruction movies but were made with modules in mind for The Interactive Design Institute‘s BA (Hons) Graphic Design. There are more to be added. Please check them out and let me know what you think.